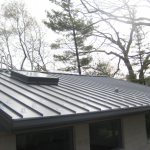 Metal standing seam roofing can offer exceptional protection for your home and is best used for high-sloped roofs and a variety of other roofing projects. 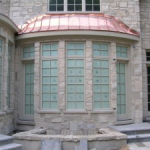 Standing seams include continuous metal panels laid from ridge to eaves and installed vertically. The metal panels are joined together at their edges with concealed fasteners. 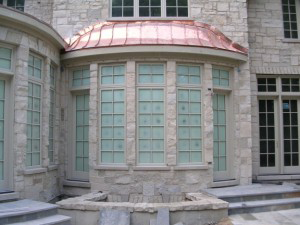 The interlocking panels create a raised or standing seams that channel water, snow and ice quickly off the roof for superior home protection. 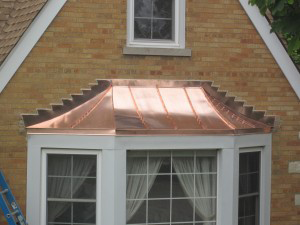 Because there are fewer seams than other roofing options (because the panels are solid metal from ridge to eaves), and because the seams are raised, the threat of moisture penetrating into the home is considerably minimized. How can Custom Installations Help? 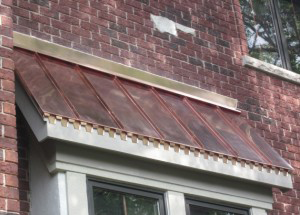 Custom Installations is a metal roofing installation company that has the knowledge and skill to install a standing seam roof system to help protect your home. 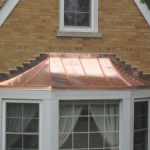 Metal roof options allow you to choose the roof that’s best for you, regardless of the style of your home. There’s a wide variety of metal and color options available to match the existing decor, from classic to contemporary. And metal roofs offer benefits unmatched by other roofing materials, including durability, easy maintenance, improved home energy costs and superior wind, hail and fire ratings. Custom Installations installs standing seam roofing throughout the Chicagoland area, including Northbrook, Highland Park, Winnetka, Glenview. and more. 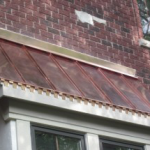 We are the metal roofing contractor of choice for countless homes in northern Illinois. 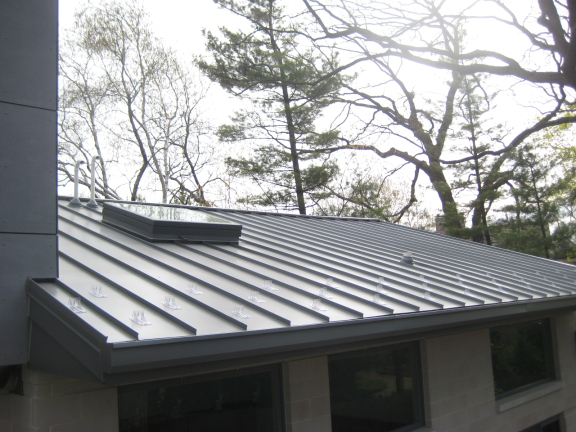 To learn more about standing seam roofing options and why we excel at metal roofing installation, contact us today.